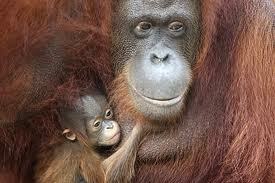 Borneo Multi Centre Holidays @Web2move.co.uk Online Since 2000. Luxury Holidays from Award Winning Travel Companies including Kuoni or Luxury Tailor Made Holidays by Travel Experts. Borneo Multi Centre Holidays allows you to combine a visit to an Orangutan Sanctuary, rainforest and stunning scenery of Borneo with Kuala Lumpur, Langkawi, Penang and the Highlands of Malaysia. Singapore is a popular gateway for flights into Borneo which means you can also combine Borneo with a stay in Singapore, Hong Kong or on of beautiful beaches in Thailand or Malaysia. You may already have been looking for information on Borneo Luxury Holidays @ Web2move, but have decided that Borneo Multi Centre Holidays, could be the best solution for your special holiday or honeymoon. 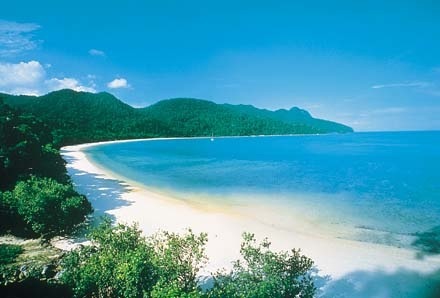 Alternatively combine Borneo with a stay on Phuket, Koh Samui or Phi Phi. Borneo Multi Centre Holidays can also include Hua Hin, Bali, Malaysia, China, Japan, Cambodia and Vietnam. So many choices! Best Advice. Let an Expert Help You. View some example itineraries below that can be used to give you ideas of which destinations and hotels you would like to be included in your own “tailor made” Borneo Multi Centre Holiday. Singapore and Malaysia and Borneo , 11 nights, Lon Heathrow from £1725. Selected Dates. Stay in Luxury 5 star Hotels such as Shangri-La Hotel Kuala Lumpur, Malaysia for 2 nights, Bed and Breakfast followed by 7 nights, Room Only at the Shangri-La’s Rasa Ria Resort Borneo, followed by 2 nights, Room Only at the Shangri-la Singapore. Booking Multi Centre Holidays on your own is possible, but not recommended as you need to juggle so many flight and hotel options. It could be cheaper, but when you are planning a luxury holiday for a special occasion why not just sit back and relax and take advantage of an Experts years of experience in providing “tailormade” holidays.